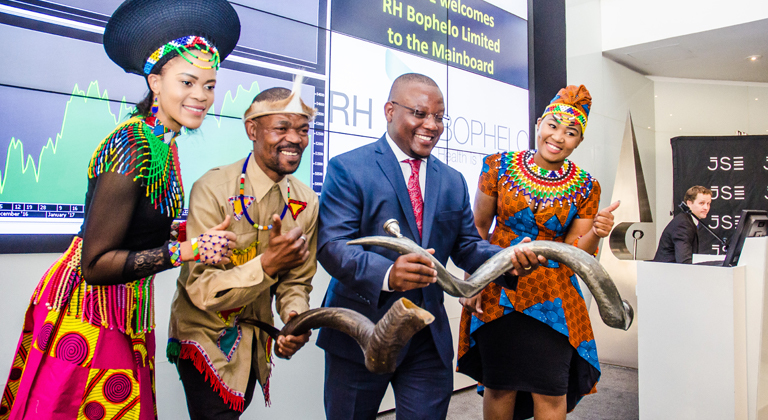 On behalf of RH Bophelo, I would like to send my warmest gratitude to everyone who came to the Johannesburg Stock Exchange on Wednesday the 12th of July, to witness the making of history. As you well know, RH Bophelo is now listed on the JSE as a fully black-owned healthcare investment company. The listing has allowed us to access the initial capital required and we will continue to work hard in order to create immense value for our shareholders and partners. We fully trust that this significant event will culminate into a new, reformed South African healthcare, whereby lower to middle-income citizens can finally gain access to quality and affordable healthcare. We thank you all for your faith and support in making the listing possible.